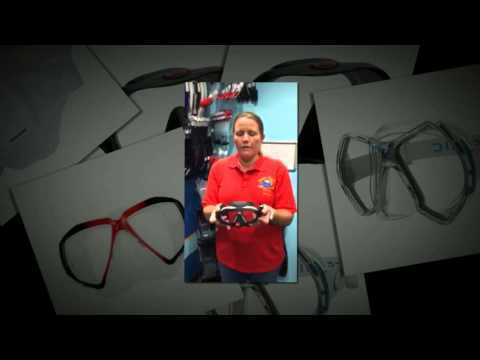 The Mask is your most important choice when choosing your Dive Equipment. After all, the visual experience of the amazing underwater world is what Scuba Diving and Freediving are all about! 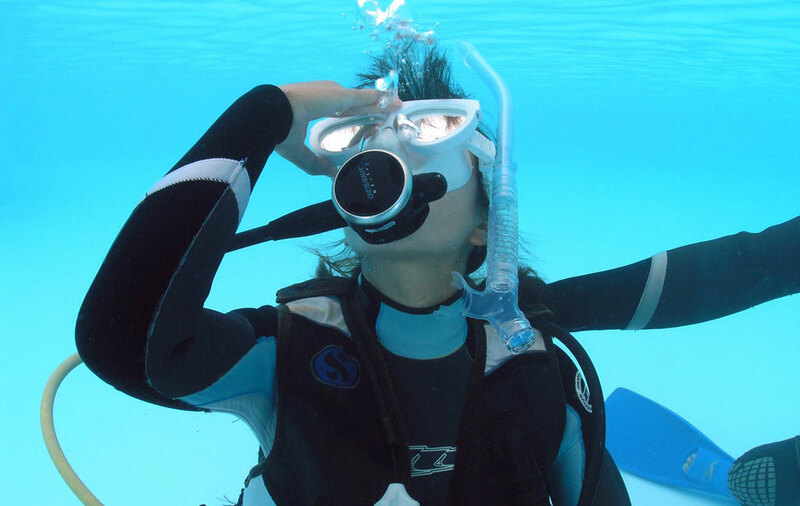 A poorly fitted mask will leak and lead to anxiety and even panic in inexperienced divers. At Abyss we take Mask fitting seriously and provide a fit guarantee to back you up if the mask doesn’t meet your expectations. 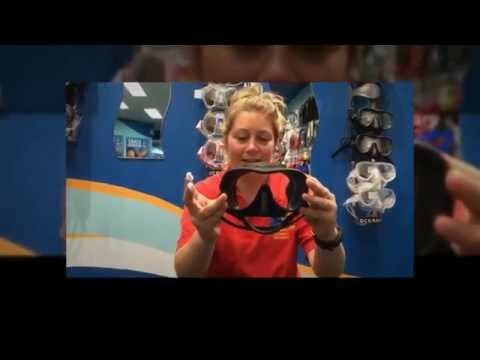 Check the video above on how you should best try on your mask for fit. Better still, drop into our store and we will happily walk through the various options to provide the best mask for you and don’t forget our fit guarantee! Regardless of shape, style or type, a mask has the same basic components. Different manufacturers opt to take different approaches to their designs but they are always there. Lens – Tempered glass panes, your window to the underwater world that is 4 times stronger than standard glass and safer if it does ever break. 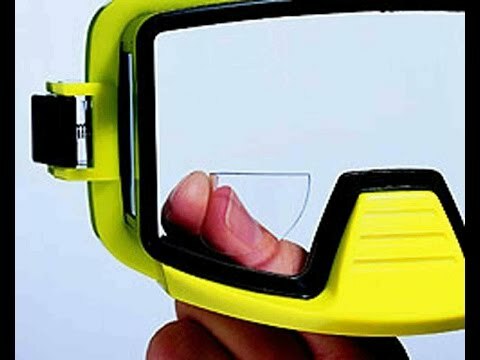 Use a single pane of glass which often provides an uninterrupted field of vision that makes new divers more comfortable. These masks are generally not preferred by people requiring optical lenses due the single lens construction. A twin lens mask is divided at the nose pocket into 2 separate lenses. 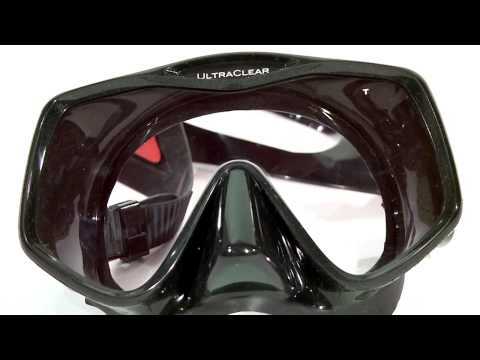 These masks are often of a lower volume and therefore popular with Freedivers. Due to the dual lens option, they are also preferred by people who require optical lenses fitted. Visit our Prescription Mask advice page for more information. A new popular mask type is the Frameless Mask. These use a wrap-over of silicone to act as the frame. They often have the best field of vision and are a very low-volume design. A popular option for Tec Divers to carry as a spare. The Skirt is the most critical component of the mask. At a minimum, you should be requesting silicone material because other materials just don’t do the job in the long-term and will let you down. At Abyss we only sell silicone masks. Skirts vary in width and that’s why it is important to choose the mask the best suits your face type. You also should consider whether black or clear silicone is the best option for you. 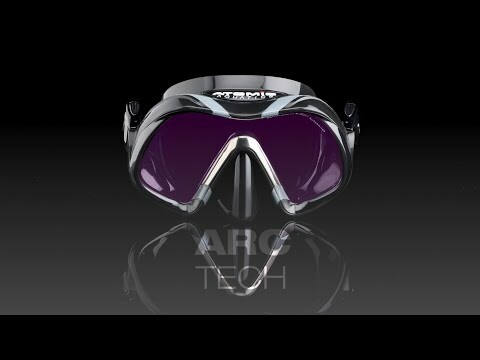 Black or coloured silicone is the preferred option for most of our Dive Professionals because you don’t get the refraction of light bouncing off the lens, particularly when on the surface. But some people prefer clear because they feel more comfortable with more light entering the mask. To cater to all these preferences, we have black, coloured and clear options available. Silicone quality can vary across brands, so keep a lookout for a soft seal around the face area. Some high-end masks use a co-moulded process which uses a stiffer silicone inner to give the mask structure and support, combined with a super-soft face seal for the ultimate fit. All masks sold at Abyss have tempered glass. If it’s not tempered then it’s not safe for Scuba Diving! Some brands we sell have a lens with higher optical quality than standard tempered lenses. These give better light transmission and make underwater colours more vibrant. For the ultimate in vision, we also have the Atomic ARC (Anti-Reflective Coating) masks that combine the ultra-high optical quality lens with a coating to stop any reflective light disturbances. These give 98% light transmission, compared to 86% in a standard mask. Remember, though, that the fit is the most important part of choosing a mask and we do recommend you do not buy a mask online. If you are unsure, please call and speak to one of our Instructors - or better still drop by the store and take advantage of our “Mask fit guarantee”.